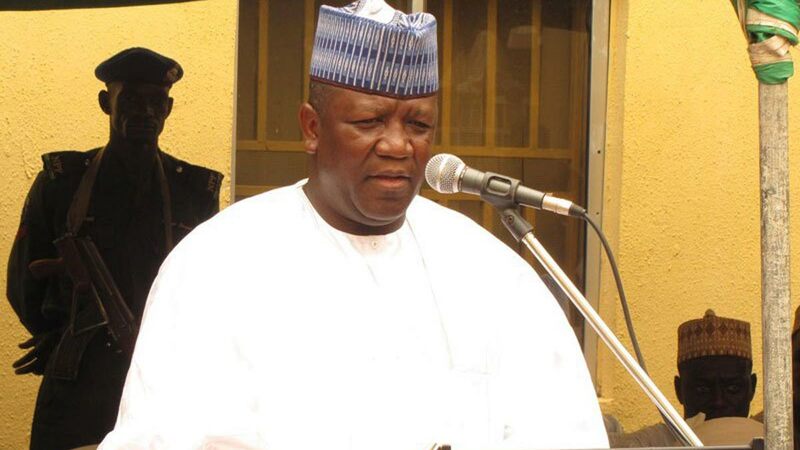 The ALL Progressives Congress (APC) might have forfeited its win of the Zamfara State governorship election to the opposition Peoples Democratic Party (PDP).This followed a ruling yesterday by the Court of Appeal in Sokoto, which nullified the party’s primaries in the state. 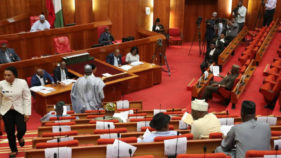 The verdict came two weeks after the party’s candidate, Mukhtar Shehu, was declared winner.It set aside the judgment delivered by a Zamfara High Court, which had allowed the APC to field candidates in the elections.Senator Kabiru Marafa, the chairman of the Senate Committee on Petroleum (Downstream) and 129 others filed the appeal through their counsel, Senior Advocate of Nigeria (SAN) Mr. Mike Ozhekome. Delivering the lead judgment, which was adopted by two other justices, Tijjani Abubakar and Jamilu Tukur, yesterday, Justice Yakubu held that the lower court failed to properly evaluate the evidence before it. He said judges have the legal power to produce judgment and reach decisions with reason. He regretted that in this case, that was not done. “I hereby set aside the judgment of the lower court, which allowed the party to field candidates in the last general elections. I believe this will serve as a very bitter lesson for political parties to learn. They must abide by the provisions of the electoral act, which provides level playing ground for all aspirants,” he declared. Reacting to the decision, a Lagos-based senior advocate, Kenneth Ahia, noted that all the votes cast for the APC, in view of the judgment, remain void. INEC, he said, has a duty to give the certificate of return to the person with the second highest vote. “It may be argued that the Electoral Act does not permit the person with the second highest vote to be declared winner in the case of nullification of election on the ground of disqualification. My view is that this is different. The party is deemed not to have participated. There will be no need for a rerun. The certificate of return should be given to the runner up,” he said. A Lagos advocate, Chris Okeke, said the election was conducted les pendis; while the suit was ongoing in the courts. “In plain language, in the eyes of the law, the APC did not participate in the elections. The certificate issued by INEC to whosoever in that state has come to nothing, translating to pieces of paper except the Supreme Court upturns it. “That APC did not participate in the elections is now a legal reality. Having not participated in the elections, it cannot be said to have won or lost. The outcome of the elections will be for those who participated in the elections only. 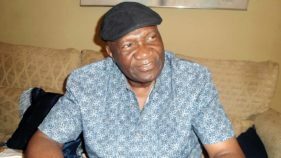 The party with the highest number of votes naturally will be declared validly elected,” Okeke said. Lagos lawyer, Inibehe Effiong, however said INEC would have to conduct a fresh election, excluding the APC. “I understand that none of the other parties met the constitutional requirement of 25 per cent votes in two-thirds of the local government areas in Zamfara State. If that is the case, the issue of the first runner up assuming the office of governor does not arise,” he stated. On his part, Abuja-based lawyer, Abubakar Sani, said the governor-elect and his party would undoubtedly appeal the judgment. “Accordingly, I think it is better to reserve judgment until the Supreme Court pronounces upon it. Pending that outcome, however, it is not hard to fathom that the judgment of the Court of Appeal is valid and binding until it is set aside. In other words, the APC and its candidate, the governor-elect, have lost that state, as far as the current election cycle is concerned,” he said. Meanwhile, Justice Iyang Ekwo of the Federal High Court, Abuja, yesterday dismissed the suit filed by the APC asking it to stop INEC from going ahead with the collation and announcement of result of the Bauchi State governorship election. In a brief ruling, he held that the court lacked the jurisdiction to stop INEC from collating election results. 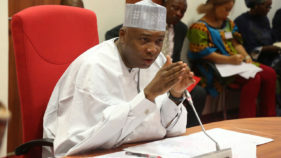 The APC and its candidate, incumbent governor of Bauchi State, Mohammed Abubakar, had in the previous week, approached the court, asking it to determine whether INEC, having declared the March 9, 2019 governorship election in Bauchi inconclusive, could unilaterally rescind its decision, resume collation and declare a winner. The plaintiffs through their counsel, Ahmed Raji (SAN), therefore prayed for an order of court prohibiting INEC from resuming collation of result for an election that has been officially declared inconclusive by a returning officer.But INEC challenged the powers of the court to meddle in a post-election matter. Consequently, INEC yesterday commenced the collation of results for Tafawa Balewa Local Government Area.Resident Electoral Commissioner Alhaji Ibrahim Abdullahi told reporters in Bauchi that the local government collation officer would submit his report, following which the state collation officer would round up, declare the result and return the winner.